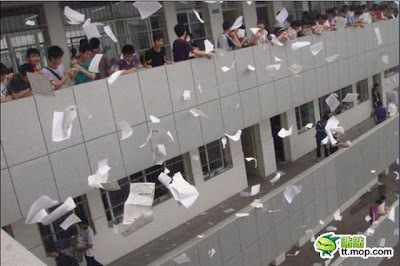 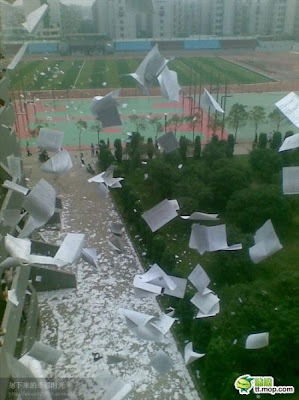 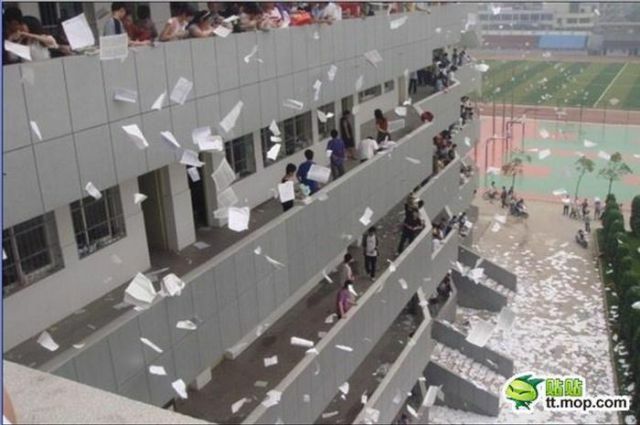 Funny Pictures This is Quite Funny POST EXAM PAPER CELEBRATION.......!! 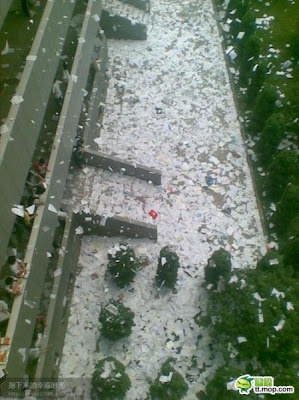 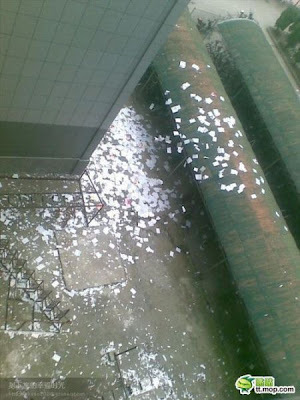 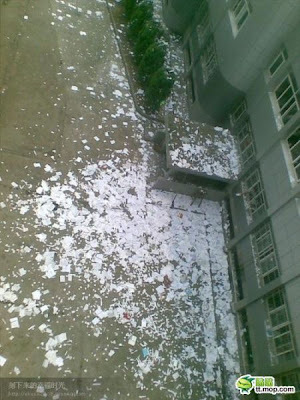 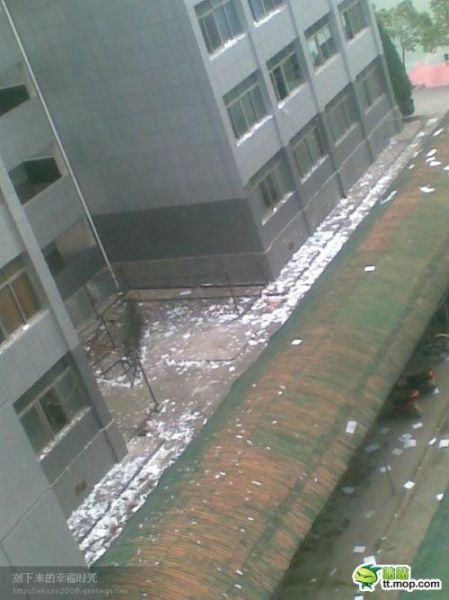 The students at this school apparently decided that their well taken notes and other written material was no longer needed after their exams. Therefore, they decided to throw them away. 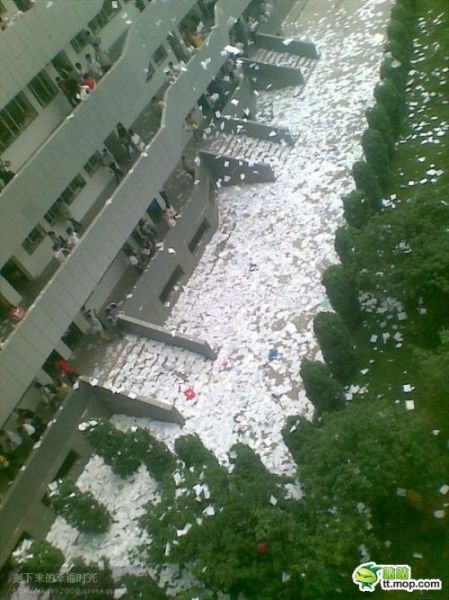 But not in a trash can. Youthful exuberance is alive and well.